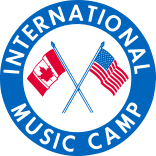 Tuesday, April 9, 2019 – The International Music Camp, which features a lot more than music, is gearing up for another big summer. The camp is located at the International Peace Garden, which straddles the border between North Dakota and Manitoba. Joining us with a preview of this summer’s camp are co-directors Tim and Christine Baumann. At last month’s annual conference of the North Dakota Music Educators Association, they received the group’s “Distinguished Service Award.” ~~~ The National Bio and Agro-Defense Facility in Kansas will be home to some of the most contagious and deadly animal diseases in the world. In part 2 of Harvest Public Media’s report on the facility, Brian Grimmett takes a look at why researchers want to study these diseases and why they say a new facility is needed. ~~~ It’s maple syrup season. Coming up this weekend you can get hands-on experience with maple tapping and enjoy pancakes with fresh maple syrup at Fort Stevenson State Park. Here to tell us about Maple Sugaring Day is Chad Trautman, park manager.